Find out more about the ultra-high-speed pad holders available from Brushtec. Each 3mm thick, flexible disk has thousands of elastomer hooks moulded into its face. 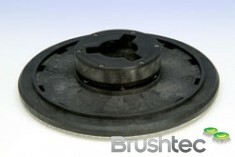 They are designed to hold pads at a fixed angle against the floor on ultra-high-speed floor cleaning machines. The disk flexes as it rotates and can be used on both electric and propane floor burnish machines at elevated speeds of 1000 to 5000 rpm. These high-speed pad holders are available at diameters up to 600mm (24″). 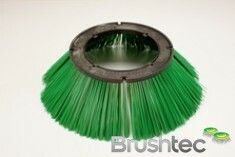 The centre boss tooling allows many different drive fixing solutions, so please get in touch on 0191 229 1666 if you’d like to know more or find out what a Brushtec ultra-high-speed pad holder could do for your sweeping or cleaning machine. 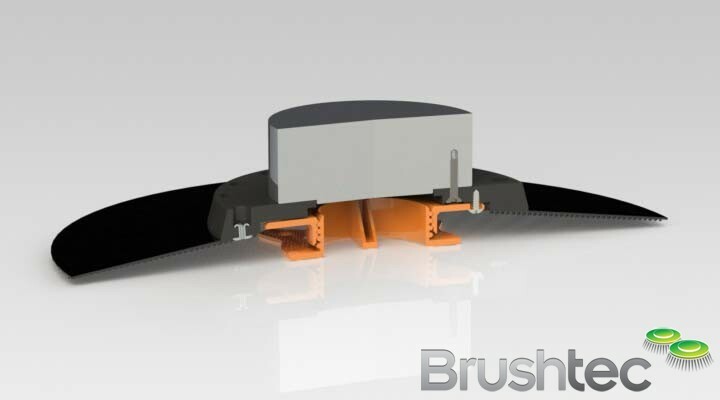 If you’re in need of a different kind of pad holder, then you might also like to check out Brushtec’s pad stick and flex drive pad holder.